This & That Patterns was founded in 2004 by Sherri Falls. Sherri began quilting in 1994. She enjoyed trying to put patterns together in different ways and experimented with designing her own patterns. In 2000, Sherri started a machine quilting business with her mother who owns a quilt store in scenic Waconia, MN. It was at that store that she met Eileen Taylor, designer of the Holly Taylor fabric line from Moda. Eileen encouraged Sherri to try creating patterns with her fabric and This & That Pattern Company was born. Since 2004, Sherri has designed many patterns and a book for the Holly Taylor fabric lines. In addition, Sherri has designed charm patterns and other fun patterns for jelly rolls and layer cakes under the “Little Scraps” and “Breakfast Club” lines. 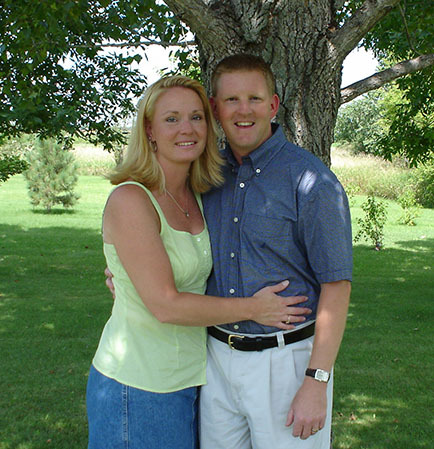 Sherri has been married to her husband, Paul, for 19 years. They have two girls and a boy, ages 16, 13, and 10.